Afternoon Tea at Mottram Hall is unlike any other. 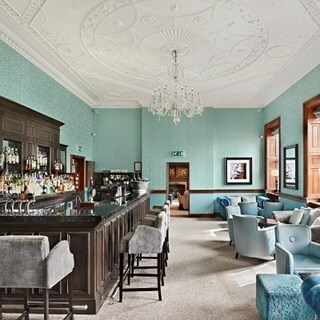 As the stalwart of the Cheshire social scene it has retained its popularity ever since the hotel opened in 1940. As with anything, it's important to reflect changing times while retaining the best of tradition. In view of this, we're delighted to introduce to you our newly improved afternoon tea experience. Indulge yourself in a full array of delicious sandwiches, cakes and scones. Why not also try our new bespoke tea blend, The Mottram 1940. Enjoy our luxurious Afternoon Tea for £23pp with freshly made scones, sandwiches, cakes and a selection of artisan tea. Alternatively why not add a little extra and enjoy our Champagne Afternoon Tea for £30pp. 30 mins waiting time before being attended to and that was after being prompted. Dirty teapot, no sugar, no tea strainers (had to ask for both) spilt tea when served. End sandwiches were crispy as obviously been out ahead of time. scones were tiny. Won't be returning or recommending and will writing as much on my food blog. Very nice afternoon tea experience. Kirstie was a very nice young lady and a most attentive hostess. Thanks. The food was amazing. But one of the staff member was very rude. I could not get the name but he was a young lad. We were made uncomfortable because of this and could not quite enjoy the atmosphere. I do think a member of staff should treat  people well regardless of a person's ethnicity. The rating  given above is mixed because of those reasons aforementioned. The service was a little strange, the waitress kept apologising for everything and making excuses (we hadn’t even complained) she was saying they only had one menu because they were lacking everything/she was tired but had o lug been in two hours/my tea was delayed as there was a game of cat and mouse between the restaurant and the champagne bar. None of this was necessary as we were very chilled and happy with everything. I felt she was a little condescending g when she spoke to us and it was like we were a bit of an inconvenience as apparently there were 120 afternoon teas booked for mother day. It didn’t seem busy and the staff were all lovely, food was fab. After the order was taken we did have to ask for everything else but nothing was too much trouble. The guys in the champagne bar were fab and made a big fuss of my daughter. We really enjoyed it but the service could do with tightening up. We were celebrating my Mum’s 60th birthday and Mother’s Day. I made a note of this when I made my reservation and they gave us a lovey table with a ballon as well. This is the second time we’ve been and we will be back again. Thank you! Horrendous. Took an hour to get drinks. Over another hour to get our sandwiches. When they finally arrived most of the items were missing. Another table left without paying. Another table were seated after us and had eaten before we’d even got our drinks. Asked to speak to the manager 4 times and he never came to see us. 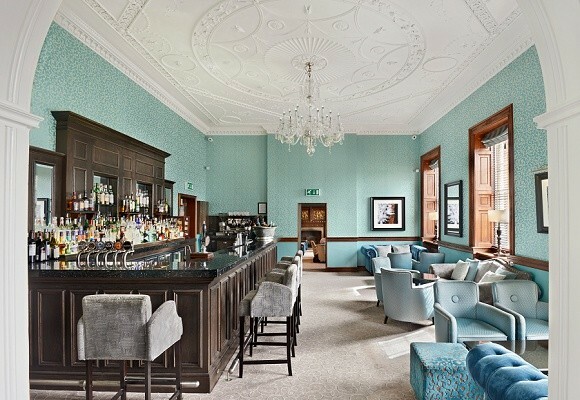 And I’d driven nearly an hour specifically to come to Mottram Hall because of the previous good experiences I had yet on Sunday I spent all afternoon apologising to my mum for such a poor mother’s day. Really really disappointed. The service was really bad we had to wait a long time for the food which wasn’t worth waiting for. We were put in the corner and people around us were complaining and started to leave refusing to pay. Staff were friendly and accommodating.venue was beautiful can't wait to have our wedding there in May fabulous service! I’m sorry to say but we had a very disappointing experience. This was booked as a Mother’s Day Special for my mum but also myself and my sisters. I have an allergy to eggs which I explained on several occasions prior to the booking. I was told on the phone less that 24hrs earlier that I would have a selection of egg free items. I was told the previous day we would be in the restaurant and arrived to be told we were in a different room. It took 30 minutes for our drinks orders to be taken and 1hr before we were served any food. The waitress had no prior knowledge of my dietary requirements despite me phoning twice before hand to confirm this. I was told all the egg free puddings had gone and I was offered a ‘cereal bowl’ of tinned fruit. This was all fed back to the manager who did offer us some compensation for this experience but I would be very reluctant to return. Amazing service from the waiting on staff who couldn't do enough for us!! Food was beautifully presented and delicious! Lovely Afternoon Tea. Beautiful Setting with Outstanding Staff. Thank you. I took my mum for her birthday and we had a great experience. The food and service was fantastic. I booked an afternoon tea for 8 people and it was lovely. Service was great and staff were very helpful. If there was anything on the menu that you wanted to swap for something else that was no problem. Lovely time had by all. Food was lovely, very accommodating re changes for myself as I'm pregnant and vegetarian. Think it would be good if there was an option to just have the food and not the teas as such as a couple of us weren't tea drinkers. If this could be reflected in the cost it would make it more appealing. It's a shame there was no designated room for the afternoon tea. As we were finishing a group of older women attending a wedding came in and moved all the chairs and took one away from my son which was at a table on its own. We then had to listen to them moaning about how expensive everything was etc etc which did slightly ruin our experience as they were quite loud. We left shortly after. The nicest Afternoon tea I’ve ever had, sandwiches fresh and good selection of cakes absolutely delicious, just perfect! When we arrived I had to find someone to show us where we were seated when we were just pointed in a direction to find a table for ourselves. The room had no atmosphere and there was nobody else in the room when we got there. It took 25 mins for someone to take our order, and took an hour for our afternoon tea to arrive. I then had to go and find someone in order to pay the bill. We felt very forgotten about and that there were other priorities. Thank you for accomodating all our dietary requirements in a lovely setting. The food was delicious. One of the best afternoon teas Ive had. Afternoon tea was lovely. Staff could have been more pleasant  - very distant/ no banter/ conversation. We were relocated to a corner of the (empty) restaurant, presumably due to the wedding that was on. Food was good and the kids portions were particularly large, which was nice, but after the first 45 minutes, we were the only ones left in the restaurant, at which point the staff were notably absent. Around an hour later I saw someone passing the door and called him over, at which point I was ignored. The same member of staff passed again a while later and this time I managed to get his attention to advise that we were still awaiting the champagne for my mum’s afternoon tea and my children’s desserts. I also asked for the bill at this point to avoid a further delay due to lack of staff. The bill stated 2 champagne afternoon teas when we only ordered one. This was then rectified and we were able to pay and leave. It’s a shame the service was so poor as the decor is beautiful and the food was good.